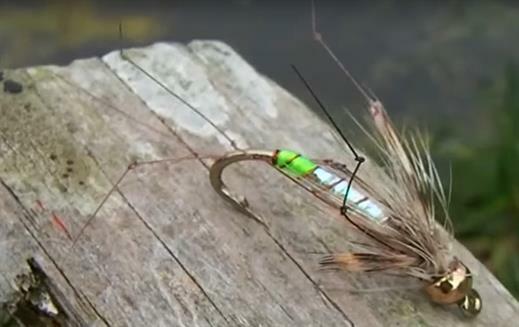 The Pearly Daddy is a deadly fly used throughout the season. It's gold head helps the fly sink deeper to where the larger trout tend to be swimming. Fish this pattern in tweaks to make the back legs pulsate, which grabs the attention of nearby trout. The legs have small knots half way to mimic the movement of a lifelike crane fly. Currently there are no comments about the Pearly Daddy fly pattern from other fly fishermen yet.